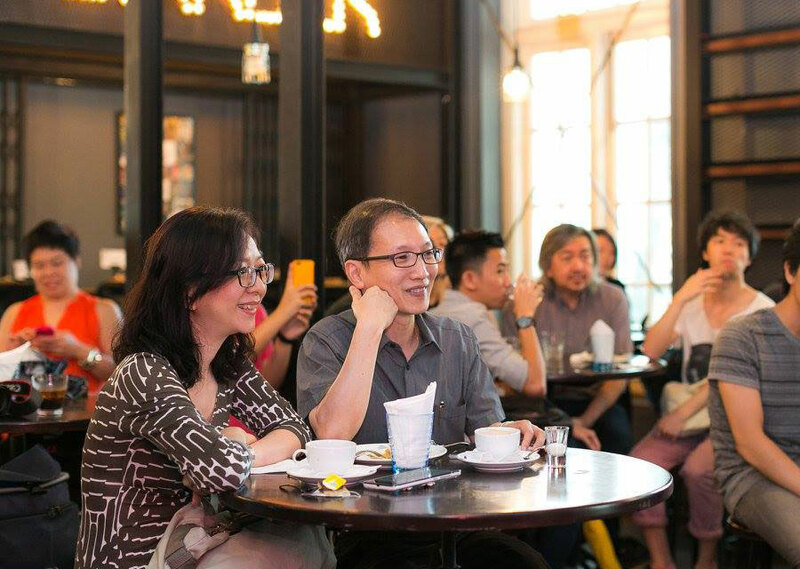 Reuby, whose real name is Reuben Tan, chose his moniker because he found it memorable, sincere and similar in sound as his name. Of course, Reuby was more than just a pretty name. 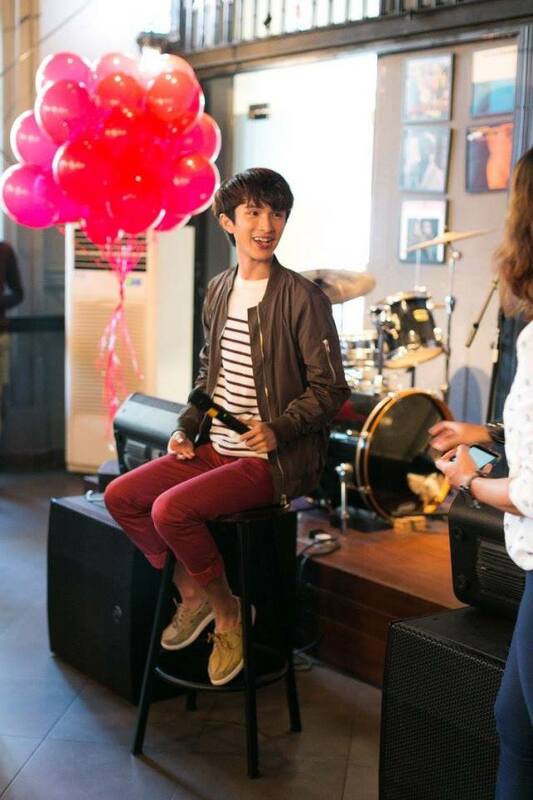 Determined to sing, the current student at Lasalle College practised his vocals to perfection. Practice makes perfect, and that perfection was realized when his debut single, “My Sunshine”, made a rapid ascent to the No. 1 spot on the local iTunes chart after it was released on National Day. 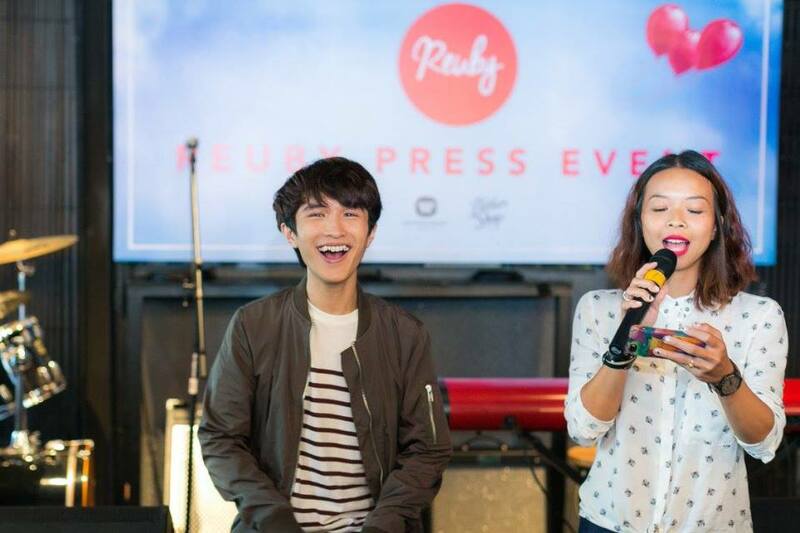 Not about to be done with just having his song peaking on the chart, Reuby went on to be named “987 Rising Star” and Lush 995 “Artist of the Month”, both accolades which he admits were unexpected. “I’m amazed that we’re able to get the support from these stations, that they appreciate my music and want other people to hear my music as well,” said Reuby. Signed to a major record label (Warner Music) at just 19, Reuby said the opportunity was a blessing, to have been “at the right place at the right time”. Indeed, his foray into the music industry happened by chance with an audition video except it wasn’t his audition. He was coincidentally performing a duet with a friend and playing the guitar as accompaniment, but ended up chosen instead by talent management company Mode Entertainment. Reuby’s love for music itself began when he was much younger. “It was as early as twelve but I didn’t take it seriously. I was just, you know, singing,” he laughed embarrassingly. Interestingly, Reuby has never taken a vocal lesson. Rather, he did what most plebeians like us would probably do – he sang in the bathroom. “It’s the best sounding place as well as the safest,” he teased. 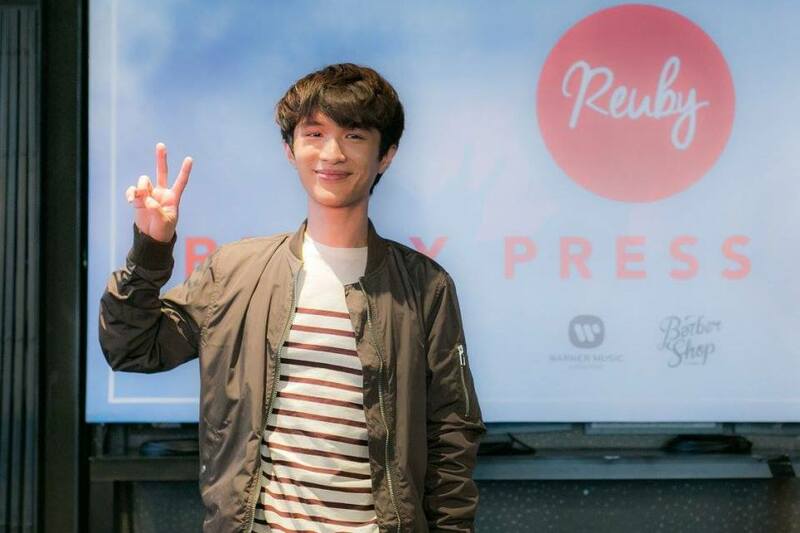 As far as his somewhat musical upbringing is concerned (Mum’s a piano tutor), Reuby believes that learning to play classical scores on the piano from his mother helped greatly in his song writing. “There are a lot of things about classical music that are special – the ‘touch’ of the piano, and how you express yourself. My mum told me that these things were important, and I carried that over to how I write my songs now,” said Reuby. The singer, whose sound has a laidback-singer-songwriter-lazing-in-a-bar vibe (think Jason Mraz or John Mayer), added unreservedly that “listening to classical music over and over again” helped to improve his singing to the point of “singing in tune”. In Reuby, his self-titled debut album, the discerning music aficionado might have noticed familiar inspirations in musical style. According to Reuby, he was influenced by many genres from One Republic to Coldplay while coming up with song materials. We’re sure there’s a bit of Ed Sheeran in there as well. Speaking of song writing, Reuby mentioned on his Facebook that he’d never written a good song for his mother, which begs the question – Just exactly who or what are his songs about then? As for the popular “My Sunshine”, Reuby wanted it to be a song that the audience can “identify with who we are”. “I guess for “My Sunshine”, I could sing it to anybody who makes me happy, who’s the light of my life.” quipped Reuby. As a teenager born in the digital age, Reuby is savvy on the Internet. Hence it was hardly a surprise the 19 year old made an Internet meme one of his songs – ‘Ain’t Nobody Got Time For That’. He found it catchy and used it to capture how he felt about the wars going on in the world. “It’s just about how war is pointless, cos ain’t nobody got time for war!” he said as a matter of fact. When asked about being taken out of mainstream schooling, the petite teen thinks that he would have a very different life had he not been home-schooled since Primary 4. “I’m pretty sure of that, because I don’t even know if I’d be doing music,” he said. “Being home-schooled gave me a lot of freedom and time to explore the music I like. If I were to go into a mainstream school, my mum might still have made me take classical music but I’d just be another classical music student. I wouldn’t have been this invested in music. Being home-schooled changed everything,” remarked the young adult in a serious tone. On a lighter note, Reuby does lives the typical life of a teenager. “I go to school. When I’m not visiting the Warner office or meeting up with my team, I’d probably just go home and well, game!” he exclaimed. “I’m not professional but I’m into MOBAs (Multiplayer Online Battle Arenas) like League of Legends (LoL) and FPS (First-Person Shooters) as well, like Halo. But right now, I spend quite a bit of time on LoL,” he enthused. What remains to be seen is how Reuby intends to sustain his fresh musical career. He has expressed his interest in exploring what he calls the “huge world” of music, and is always ready to listen to anything unique on the radio. “The one thing that motivates me is the inspiration for song writing just keeps coming. I’m always writing whether I’m at school, at home, or out for dinner. A tune just pops up, and immediately I take out my phone, record it, and go home to work on it. 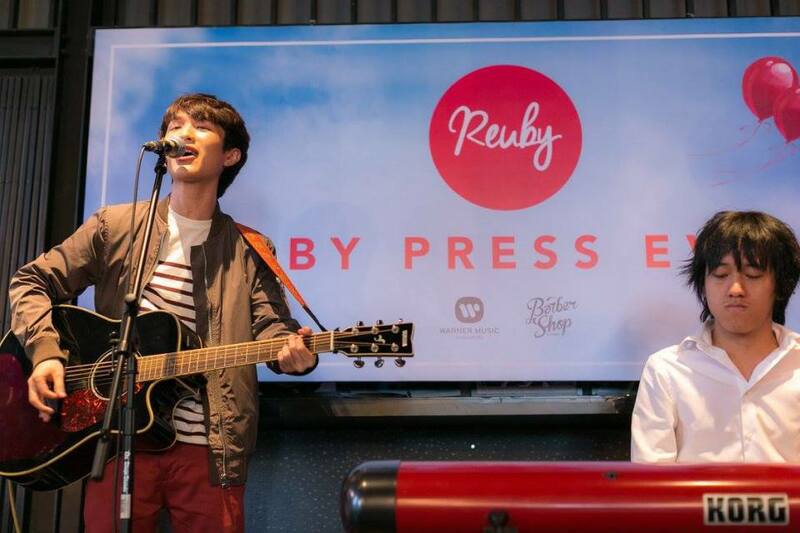 I hope to continue writing songs that people can appreciate and relate to,” said Reuby. He has all the time in the world to do just that but meanwhile, he has that LoL game to play. Follow Reuby on Facebook, Twitter, Instagram and subscribe to his YouTube Channel. Did you know that the Music Video for “Because You Love Her” is in slow motion? In order to achieve the desired effect, Reuby was required to sing the song twice as fast when recording so they could slow the video down in post-production and have his lips still following the lyrics!